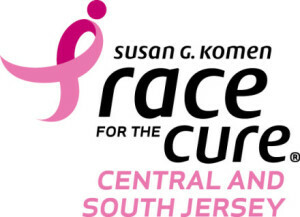 Join 1450 WCTC for the Susan G. Komen Central and South Jersey Race for the Cure on November 5, 2017 at Six Flags Great Adventure plus stop by the Street Team table for free WCTC prizes & more! If you would like to be notified when the 2017 Race for the Cure opens for registrations and volunteering, please click the below button! Thank you to all our 2016 sponsors, donors, participants and volunteers who supported the 23rd Annual Susan G. Komen Central and South Jersey Race for the Cure on Sunday, November 6 at Six Flags Great Adventure. Visit our Komen CNSJ Facebook page to view 2016 event photos and videos. Get Your Pink On! Go Team Bonni! Why has the Race moved to November? Out of respect for the Jewish holidays that cluster around the beginning of October and the fact that our host site needs all of their property the rest of the month for their own event, the first weekend of November was the first available date to hold the annual Race for the Cure. We trust your commitment to the Komen Central and South Jersey Race for the Cure and our mission – to end breast cancer forever – will remain, no matter what month our Race is held! Remember, breast cancer does not stop in October.